DLF Mall of India, one of the biggest malls in India is set to open for public in February 2016. Built at an investment of Rs 1,100 crore, the prime mall sees tenants opening their stores with the recent entry of Big Bazaar Gen Next. 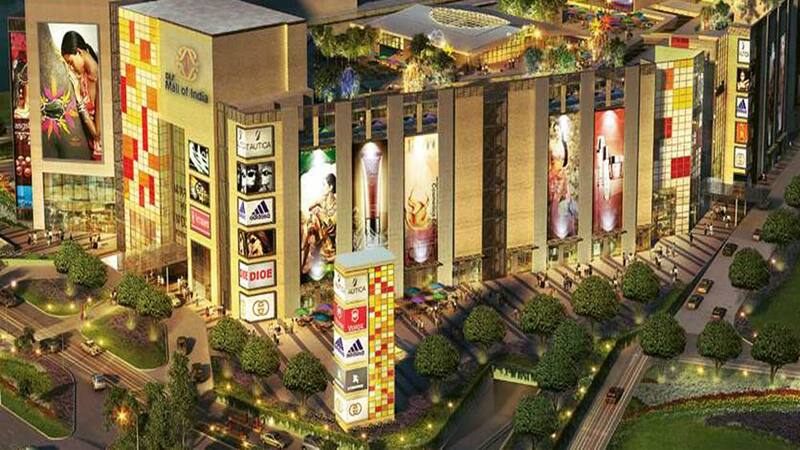 DLF Mall of India, one of the biggest malls in India is set to open for public in February 2016. Built at an investment of Rs 1,100 crore, the prime mall sees tenants opening their stores with the recent entry of Big Bazaar Gen Next. More than 200 brands, including many franchise ones are opening here. The realty major hopes to get Rs 200 crore rental income per year from the mall. It’s premises has a leasable area of about two million sq. ft.
More than 450 retail units, coupled with the largest indoor entertainment zone spread over two levels - which would have 7 DT star screens, and the largest food court with about 1000 seats, are the USP of the mall. Other unique feature of the mall is that it is modeled across five dedicated zones: Market Place, International Boulevard, The High Street, Family World and Leisure Land. In the last fiscal, DLF's annual rental income from commercial properties, including offices and shopping malls, was calculated at Rs 2,400 crore.